The National Academy of Inventors has named two Texas A&M Energy Institute Faculty Affiliates – Professor Christodoulos A. Floudas and Professor Marlan O. Scully – among its 168 NAI Fellows for 2015. They will be inducted on April 15, 2016, during the academy’s fifth annual conference at the United States Patent and Trademark Office in Alexandria, Va.
Floudas is the director of the Texas A&M Energy Institute, professor and holder of the Erle Nye ’59 Chair for Engineering Excellence in the Artie McFerrin Department of Chemical Engineering within the Dwight Look College of Engineering. During a career that spans four decades, Floudas has developed useful tools for optimization of, and found novel pathways for, energy conversion and conservation. The scope of his research includes chemical process synthesis and design, process control and operations, discrete-continuous nonlinear optimization, local and global optimization, and computational chemistry and molecular biology. Floudas is a member of the National Academy of Engineering, the Biophysical Society, the Society of Industrial and Applied Mathematics and the Academy of Athens. Scully is the director of the Institute for Quantum Science and Engineering and the Center for Theoretical Physics; a Distinguished Professor and holder of the Hershel E. Burgess ’29 Chair in Physics in the Department of Physics and Astronomy as well as of a joint professorial appointment in the Department of Chemistry; holder of a Texas A&M Engineering Experiment Station (TEES) Distinguished Research Chair; and associate dean for external relations in the College of Science. As a pioneer in laser physics, Scully’s contributions include the first quantum theory of the laser, the first demonstrations of lasing without inversion, the first demonstration of ultraslow light in hot gases, and the use of quantum coherence to detect anthrax in real time. Furthermore, his work on quantum coherence and correlation effects has shed new light on the foundations of quantum mechanics. He is a member of the National Academy of Sciences, Academia Europaea and the Max Planck Society as well as a fellow of the American Academy of Arts and Sciences, the Optical Society and the American Physical Society. Floudas and Scully join two other Texas A&M faculty-members as NAI Fellows. In 2014, the academy selected B. 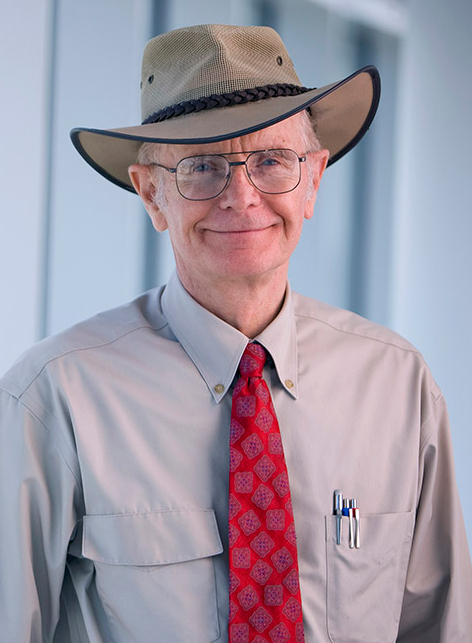 Don Russell, Jr., a Texas A&M Energy Institute Faculty Affiliate, Distinguished Professor, and holder of the Harry E. Bovay, Jr. Chair in the Department of Electrical and Computer Engineering in the Dwight Look College of Engineering, and Darwin J. Prockop, professor and holder of the Stearman Chair in Genomic Medicine in the Department of Medicine and director of the Institute for Regenerative Medicine in the College of Medicine. The 2015 announcement brings the total of NAI Fellows to 582, representing more than 190 research universities and governmental and non-profit research institutions. The 2015 Fellows account for more than 5,300 issued U.S. patents, bringing the patents held by all NAI Fellows to more than 20,000. Election to NAI Fellow status is accorded to academic inventors who have demonstrated a prolific spirit of innovation in creating or facilitating outstanding inventions that have made a tangible impact on quality of life, economic development, and the welfare of society. About Research at Texas A&M University: As one of the world’s leading research institutions, Texas A&M is at the forefront in making significant contributions to scholarship and discovery, including that of science and technology. Research conducted at Texas A&M represented annual expenditures of more than $854 million in fiscal year 2014, ranking Texas A&M in the top 20 of the National Science Foundation’s Higher Education Research and Development survey (2014). Texas A&M’s research creates new knowledge that provides basic, fundamental and applied contributions resulting, in many cases, in economic benefits to the state, nation and world. To learn more, visit http://research.tamu.edu. Elbashir Publishes "Natural Gas Processing from Midstream to Downstream"